Hi, readers and welcome to the Edifier Rave MP700 Bluetooth speaker review. There has been an explosion of Bluetooth enabled audio products in recent years. A quick search for Bluetooth speakers on Amazon yields hundreds of results from ultra-budget to astronomical prices. It’s safe to say it’s a competitive segment and will probably increase in popularity in the future as people embrace everything wireless and streaming. This sample was provided to me for the purpose of an honest review. I am not affiliated with the company or seller and all observations and opinions here are my own, based on my personal experience with the product. 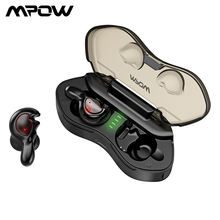 The MP700 is currently selling for $187 USD and can be purchased from Amazon and other quality audio stores. Delivery content is a clean, white box with a clear image of the speaker and a feature list on the front. Over on the back are some more photos, feature list and specifications. Inside this is another plain black box and when you open this you find the MP700 wrapped in plastic and held securely in a sheet of black foam. To the left of the speaker is a smaller box containing the accessories which include a user manual, warranty card, a power plug and a 3.5 mm to 3.5 mm auxiliary cable for physically connecting a source. That’s everything you need to get started. It would have been nice to see some kind of carry bag but then again when you consider how the speaker is built (more on this later) it’s not really necessary. Overall a simple yet satisfying unboxing experience. When I pulled this from the box I thought “holy cow!” I wasn’t expecting a full steel case with such a hefty feel to it. There’s no bending of the grills or frame under your grasp here, it’s akin to picking up part of a car engine or something off a factory floor. Then there’s the handle…a solid bar of steel that cements the impression upon you that this is no gimmicky toy speaker but rather is here to do some serious business. Although the Rave is not especially large with a width of around 30 cm it weighs in at around 1.6 kg so the handle becomes a necessity for conveniently moving the speaker around. Fortunately, the solid steel handle with Edifier branding embossed in the top is perfect for the task. It can also be swivelled back to sit behind the speaker leaving the control buttons unobstructed and easily accessible. When you see this speaker from a distance it looks so unassuming and modest in its appearance. It can easily blend into an environment without drawing attention to itself. However, when you look at it up close you can see the intricate patterns on the grill. It looks traditional yet contemporary at the same time, with a hint of steampunk elements thrown in. Hidden and protected under the grill are the two 70 mm midrange drivers and two 19 mm silk dome tweeters which add up to an impressive 36W of output power. The entire underside of the speaker has a rubber surface which helps it to sit firmly in place on any flat surface and also protects whatever it is sitting on from scratches. On the top area is a blue LED indicator and there are the three control buttons (from left to right): Power, – and +. To the right of the buttons is the NFC tag used for connecting a source. Over on the right side panel, there’s a rubber flap covering (from top to bottom): 3.5 mm auxiliary input, a USB port (can be used like a power bank) and the 5V power input. There’s also a series of blue LED indicators here that show you the battery status but they’re only visible when actually charging, changing sources via the power button or when you first power the unit on. Perhaps an easier way to display the current battery level would have been handy here but that’s just nitpicking. Speaking of the rubber flap, the MP700 is splash and dust resistant so there’s no need to panic if you get caught in a rain shower but I wouldn’t want to expose it to a heavy downpour for any significant amount of time. Overall the design is utilitarian and rugged but when you get near its understated elegance is revealed. I think Edifier has done a great job on the build and aesthetics making it look nice and be very robust and practical at the same time. Pairing couldn’t be more simple than this. A quick press on the power button and the speaker comes on with the LED indicator flashing blue, meaning it’s in pairing mode. Enable Bluetooth on your source and tap the NFC tag on the MP700 and within a few seconds you’re paired and ready to go. Of course, if you wanted you could simply plug in via the 3.5 mm auxiliary port but where’s the fun in that!? 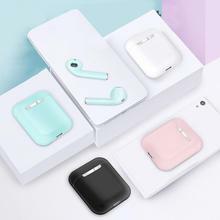 After you’ve connected a device the first time it will automatically reconnect the next time you turn on Bluetooth or turn on the speaker. The + and – buttons change the volume with a short press or skip to previous/next song with a long press. Oh, and the power button also doubles as a source selection button. That’s all there is to it. What a great design! Just like the Edifier R1700BT connectivity is practically flawless. With its APTX functionality you get low latency, high-quality streaming (assuming your source supports it). During testing, I had no dropouts whatsoever and the range is good too. I’m able to go from the living room to the kitchen or even outside without interruption to the music. Need I say more? It works and it works well. Done. I found it to be quite accurate, although it can vary a little up or down depending on how loud you set the volume. Now 8 hours isn’t spectacular but I’m not complaining because the output power is fantastic and I doubt I’ll ever need to use it for longer than that in a single session. The Rave boasts a surprisingly mature and balanced sound that goes in a different direction from most other portable speakers that try to impress with their loose, overblown, flabby bass. This is also a bit brighter than the average portable solution which makes this a very lively and energetic sounding speaker. The Rave’s ability to throw out sound is mind-boggling and can easily fill a large room and works wonders outdoors. There’s no need to huddle around it like a dying fire on a cold winter night as it projects amply in a wide arc on its front side and if you’re indoors you can even be parallel with it at a good distance and get a full-bodied sound. The Mp700 has a linear, punchy mid-bass that won’t shake the walls but it doesn’t distort or break up either. Its really clean and fast and can handle most genres easily, keeping pace without bleeding over into the mids. Listening to “Smartz” by Scarface (The Untouchable album) the beat drives the song along energetically, striking a good balance with vocals and letting them shine through. Sub-bass is where the speaker falters a little, a well-known symptom of Digital Signal Processing (DSP) and Dynamic Range Control (DRC) that puts a rein on certain frequencies to prevent distortion and maintain proper frequency levels. Speakers of this size generally have a weak sub-bass presence due to the digital processing and physical limitations and just like Edifier’s desktop R1700BT the sub-bass is there but rolls off pretty hard and fast and is kept at a low level. This doesn’t affect music too negatively though, especially because of the strong mid-bass performance. Some extra bass impact and presence can be achieved by putting the speaker close to a wall or in a corner where the two rear bass ports can bounce off a hard surface. Midrange is neat and clear and is the focal point of the MP700’s presentation. There’s a bit of warmth in the mids though like the bass its fairly linear and gobs of detail are noticeable as there’s minimal colouring or added weight. Electric guitars have a good crunch and realistic presence as do other instruments in this range. Vocals are wonderfully clear though perhaps a little thin in the lower regions but still have enough body to be engaging for male vocals and really shine for female voices. Even in busy segments, separation is excellent and nothing sounds congested with good spacing between the parts. For such a small body this thing spreads out the sound really well, giving a sense of space no matter what angle you’re listening from, unless you’re actually behind it. I can’t get over how well vocals are reproduced, sounding rich and smooth and eliciting plenty of emotional response. With treble the Rave also does exceptionally well, finding that sweet spot with fantastic extension yet never getting close to strident or piercing. The timbre of high hats and cymbals is superb and carries lots of details and is a pleasure to listen to. It seems to be well in line with the mids and never gets lost or overbearing but adds some lightness and pzazz up top. It’s just another area where this thing amazes me for a portable speaker and would put many computer speakers to shame with its clarity and maturity. It would be an understatement to say that the MP700 surprised me with it physical and audio quality. Actually, it blew my socks off from the very first listen, far surpassing my expectations of what a portable Bluetooth speaker can achieve. One thing that in particular, that stood out is its balanced presentation in favour of the usual V-shaped tuning that this type of product usually goes for. This should appeal to the more discerning listeners as well as people who just want a portable device that can “play loud”. The construction is extremely solid and should be able to handle some time in the trunk of a car or bouncing around in a backpack without any problems. Being water resistant you don’t have to worry about a spot of rain or a splash from the pool and there are so many scenarios where this would be a welcome addition, such as backyard BBQs, picnics, at the poolside, at the beach or just about anywhere you can imagine. When you add the build quality to its superb sound the Edifier MP700 seems like a real winner. Sure it’s not exactly cheap but the price isn’t outrageous either in context of what you’re getting for your money. Does this all sound overly positive to you? As a reviewer, I try to remain as objective as possible but at the same time, I want to give my honest opinion on things. With that said I think this one is an absolute gem and you have to hear it to believe it. You can buy the Edifier Rave MP700 on Amazon HERE.